Renfrewshire residents can experience stunning walking tracks and cycle routes right on their doorstep. From challenging countryside bike trails to village tours and urban walks, there’s options for everyone and no better time than the New Year to give them a go. 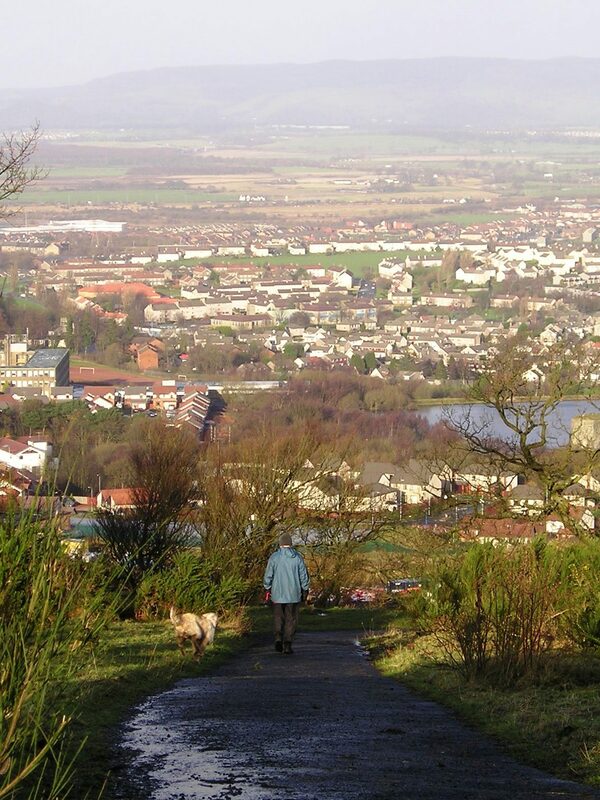 Walking tracks across Renfrewshire cover various distances and degrees of difficulty, and many are on surfaced paths. The Castle Semple Walk remains a popular choice while Johnstone to Paisley through the Gleniffer Braes offers a strenuous uphill option. There’s also a series of short walks in Paisley which fit neatly into a lunch time, including a stroll to town centre highlights like the Fountain Gardens and the Abbey or Jenny’s Well to the east. And with community walks organised through the Renfrewshire Walking Network in Ferguslie, Glenburn, Erskine, Johnstone, Renfrew and Paisley, it doesn’t have to be a solitary experience. Councillor Lisa-Marie Hughes, Chair of Renfrewshire Leisure said: “The networks of cycling and walking tracks in Renfrewshire are some of the best in Scotland. At this time of year many of us vow to get fitter, so now is the ideal time to take advantage of the opportunities that lie right on our doorstep. Cycling in Renfrewshire is already proving popular, from mountain biking across Muirshiel – a 22 mile trail – to following the Cart and Clyde to Braehead, a more leisurely 11 mile distance. Renfrewshire is also home to two routes part of the national cycle network, the Lochwinnoch Loop Line and the Paisley and Clyde Coast. More cycling and pedestrian routes are being developed in the area through funding from the Glasgow City Region City Deal. Councillor Hughes added: “We are committed to improving and growing the network of walking and cycle tracks in the area. “To that end, the Council has developed ‘Renfrewshire Cycling Strategy 2016-2025’ which prioritises the development of our cycling network over the next nine years. “Under the strategy, a Paisley to Renfrew Cycle route will be developed, with the design of the route due to be complete by March 2018. “Through partnership with Glasgow Airport and Sustrans Scotland – we are supporting an upgrade and improvements to the 2.5km cycle path from Paisley Moss nature reserve through the airport campus to Abbotsinch Road. “This route complements our proposals to develop a link to Bishopton and will form a key part of our wider cycle network. All cyclists and those out for a walk are asked to ensure they act responsibly and follow the Scottish Outdoor Access Code. Dog walkers are also asked to ensure their dog is kept under control, with countryside routes often alongside farm land. Councillor Hughes added: “There are so many great places to explore responsibly so whether it’s by bike or on foot, I’d encourage everyone to get out and give it a go.